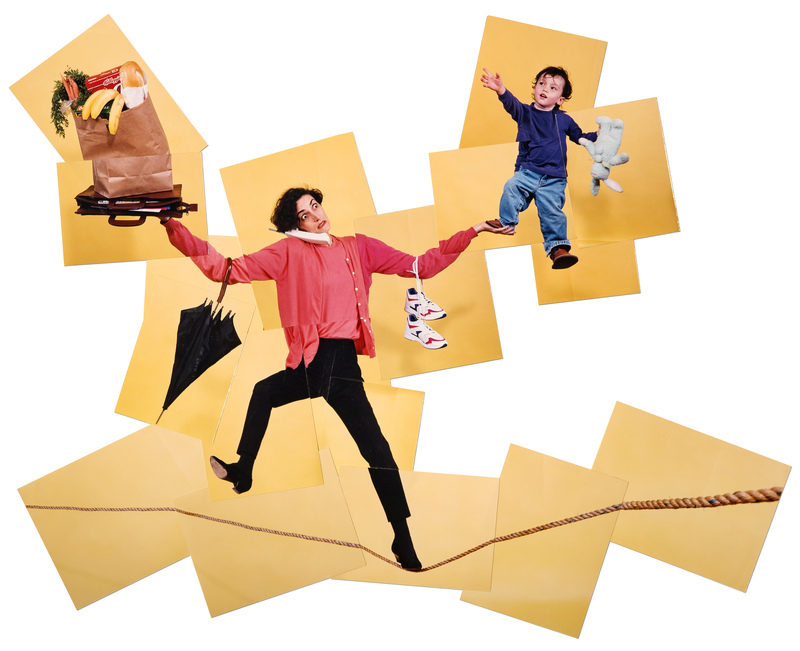 WOMAN ON TIGHTROPE 1996 is an analog photo collage created from 1-Hour photo prints shot with color negative film, and assembled by hand. Created for Ladie’s Home Journal magazine in 1996. For similar images see: Pro Collage.